Click on http://www.youtube.com/user/BluePlanetUnited?feature=watch to view film trailers and short versions of many of our films. Watch for the release of our newest documentary films, EYE TO EYE WITH WHALES and GONE WITH THE WEB. Coming in 2018! This feature documentary is for people who love the ocean and its creatures, and want to learn how to protect them. It examines the declining health of ocean ecosystems, focusing on coral reefs and their vulnerability to climate disruption, overfishing, ocean acidification, and pollution. Featuring the spectacular reefs and islands of Palau, the film celebrates the stunning beautyand diversity of wild coral, while calling attention to its growing fragility and rapid decline. Palau’s battle of Peleliu island, one of World War II’s most savage conflicts, provides the film with a striking analogy for the environmental battle now taking place on the reefs offshore, where bombs have been replaced by greenhouse gases, fishing fleets perform the role of naval artillery, and super typhoons succeed armies as invading forces. The film weaves together awe-inspiring scenes of nature’s beauty and fury with searing images of a tragic battle. It tells the story of an island paradise that was utterly destroyed by war and slowly restored by Nature in one of Earth’s most incredible feats of redemption. In that powerful regenerative process lies the hope that people and Nature will act in concert to restore and sustain coral reefs, everywhere. SUSTAINABILITY: Changing the Operating System is a visionary film about the integration of environmental, economic, and social action tocreate a future that is green, profitable, fair, and “glocal”. It examines the old “operating system” of industrial growth that has given rise to a series of interlocking crises in finance, energy, food, water, biodiversity, poverty, climate disruption, and population growth. The film calls for a new operating system that is grounded in the life of community and dedicated to the health and resilience of people, markets, and ecosystems. What will we leave future generations in the way of healthy ecosystems? Our bequest will help to determine what kind of opportunities tomorrow’s children will enjoy and what kind of legacy for sustainability we will leave behind. This special collection of Blue Planet United videos is intended for educators and thought leaders. It combines four films on a single disc, available in both high definition and standard DVD format (DVD-R). Each film presents provocative ideas and arguments that lend themselves to discussion in the classroom and in public presentations. The film is priced according to use, based on private home viewing, nonprofit presentation or library acquisition, and public exhibition by businesses and universities. SPIRIT OF PLACE offers a moving perspective about human relationships with Nature, as seen through the eyes of a 95-year old educator and adventurer. Filmed in the American West, amidst inspiring wilderness and wildlife. Winner of the 2011 John Muir Award for best environmental film, Yosemite International Film Festival. Running time: 29 min. BETWEEN TWO WORLDS examines the powerful driving forces that have shaped the modern world and that are now dividing its people and threatening its social and ecological wealth. Filmed in 15 diverse countries on five continents. Includes filmmaker’s commentary. Running time: 24 min. A CELEBRATION OF CORAL provides a stunning overview of the beauty and fragility of coral reef communities, blending science and policy perspectives. Filmed underwater in Micronesia and in the Caribbean. Running time: 16 min. INDOOR & OUTDOOR PEOPLE explores the environmental world view of Narayan, a poet and naturalist who lives in mountain wilderness, observing wildlife and human relationships to the world in which they live. Running time: 13 min. for an additional $20. These discs may be special ordered by phone (909-307-6597), by email: info@blueplanetunited.org, or regular mail: PO Box 7918, Redlands, CA 92375. A compatible Blu-ray player is required to view BD-R discs. ** Includes public performance/exhibition rights. SPIRIT OF PLACE examines these questions through the eyes of an extraordinary 95-year-old woman, whose love of magnificent forests, mountains, and tranquil streams has taught her valuable lessons about the meaning of life. Focusing on America’s wildest and most alluring landscapes, the film celebrates the powerful sense of wonder that springs from human encounters with wildlife and natural systems. It also reveals the benefits to health and spirituality provided by such encounters. Shot in the American West, Spirit of Place tells a moving story about the importance of wildness on a human-dominated planet. A video essay with a poignant message and inspiring ending, the film is suitable for viewing by all age groups. Winner of the 2011 John Muir Award for best environmental film, Yosemite International Film Festival. Music composed by Mei Wang and produced by John Manchester. Running time: 29 min. Format: NTSC 16:9 DVD-R. Released January 2011. 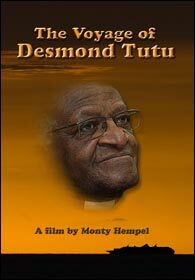 This film examines Tutu’s insights about the human condition, as presented during an extraordinary voyage around the world. The voyage revealed as much about the state of our planet as it did about Tutu’s philosophy of life. Hence, this film is about two kinds of voyages: the ocean voyage that brought this remarkable leader to many of the world’s most fascinating countries, and the intellectual voyage of the man, himself. Music by multiple artists. Running time: 42 min. Format: NTSC 16:9 DVD-R. Planned Release 2015-16. This short film provides a stunning introduction to the amazing colors, forms, and behaviors of life on a coral reef. It also examines the changes that threaten these fragile ecosystems. Reefs are in trouble. Massive overfishing, pollution, sediment runoff, and shark finning have already taken a heavy toll. But the greatest long-term threats are from climate disruption and ocean acidification, and from the population pressures and consumption habits of 7 billion people. There’s still time to enjoy coral wilderness, but if we want our children to have the same opportunity, we who celebrate coral must also become its defenders. Join Dr. Monty Hempel, underwater explorer, filmmaker, and professor of Environmental Studies for a fascinating look at the beauty and fragility of coral reefs in Micronesia and the Caribbean. Music by Roger Subirana Mata. Running time: 16 minutes. Format: NTSC 16:9 DVD-R. Released January 2011. Between the world in which we live and the world that we hope to build lies a fundamental choice between conventional growth and sustainability. BETWEEN TWO WORLDS examines this choice, and the related challenge of securing environmental health, economic vitality, and social equity for both present and future generations. Filmed in 15 diverse countries, it tells the story of how our world is changing, and why. Viewers are presented with vivid images of a planet that is teetering between hope and despair; wealth and poverty; freedom and tyranny; progress and ruin. This film provides a powerful synthesis of social, technological, and environmental driving forces that have shaped much of our history and are now strongly influencing our future. Guaranteed to be thought-provoking, the film is an excellent way to promote discussion in the classroom, around the kitchen table, and across the community of thoughtful citizens who are concerned about the interlocking, slow-motion crises that face our world. Most people experience Nature during fleeting moments spent in the great outdoors. For Narayan, a poet and close observer of Nature, our encounters with natural systems are windows into the soul. They reveal a beautiful, wild, and mysterious world that exists beyond our thought and imagination — a living world of interdependent beings that challenges some of our most precious notions of self, security, and spirituality. Filmed in the Sierra Nevada mountains of California, this short documentary film presents an alternative view of human and nonhuman nature, amidst the splendors of Sierra wilderness. The DVD includes bonus videos by the same film maker: (1) “Earth Day” — a celebration of the Earth, filmed in some of our planet’s most beautiful and wild places, and (2) “Evening Tide,” a celebration of the Ocean for viewers who love beautiful seascapes. Each year, ten college students trade their classrooms for kayaks and set off to explore one of the world’s most enchanting ocean Edens — the Republic of Palau. They learn about coral reefs, rainforests, traditional culture, and sustainable development. This is the story of their journey of discovery. The Palau expedition is designed to explore the concept of sustainability and its promise and limitations for guiding development. Palau is small enough that students can visit multiple coral reefs, rainforests, and cultural sites in a single day, seeing for themselves the interactions between villages and ecosystems. The film follows a typical group of students through a series of fascinating encounters with native peoples and wild places, including undersea adventures in one of the world’s most exotic coral kingdoms. The Blue Corner is a spectacular underwater wilderness located in the Republic of Palau — an island paradise renowned for its thriving coral reefs and large concentration of reef sharks. Divers and snorklers come to Palau seeking adventure at more than 75 named sites for underwater exploration. The most famous of these sites, the Blue Corner, protrudes far into the Philippine Sea, like a giant finger of coral, flanked by vertical walls that drop more than 1,000 feet into the abyss. In these gin-clear waters, divers come face-to-face with sharks, rays, sea turtles, and colorful reef fish. Dr. Monty Hempel, noted professor of environmental studies and Palau expedition leader, offers a fascinating look at the beauty, danger, and mystery of this unique coral kingdom. Let this film be your guide to one of Earth’s most amazing places! Running time: 27 minutes. Format: NTSC 16:9 DVD-R.